Goldfrapp recently revealed the brand new video for ‘Systemagic’, taken from their recent Top 10 album, ‘Silver Eye’. 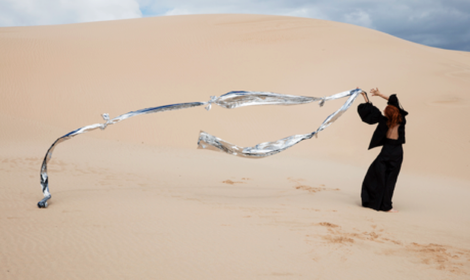 Making her directorial debut, Alison Goldfrapp demonstrates a natural progression from her creative behind the album artwork and art direction on the video ‘Anymore’. The video features a coven of moon-worshippers dancing under the watchful Silver Eye and was choreographed by illyr - who was listed on the recently released Dazed 100. Goldfrapp recently gave a performance of the new single, ‘Systemagic’ on Later With Jools Holland. The band also headlined the first night of this year’s BBC 6Music Festival and played a sold out show at London’s Roundhouse, apparently receiving 5 star reviews from The Times and The Evening Standard and which The Independent likened to a “throbbing glitter-bomb of delirium”. Further live shows this year include a headline set as part of the Summer Series at Somerset House on 9 July plus appearances at Glastonbury Festival, Blue Dot Festival and Latitude Festival. The band will also be playing in Philadelphia, New York, Sydney, Helsinki, Brussels and Madrid over the summer.